Product prices and availability are accurate as of 2019-04-20 12:17:52 UTC and are subject to change. Any price and availability information displayed on http://www.amazon.co.uk/ at the time of purchase will apply to the purchase of this product. The quantity of little "stars" is 200. One button to manage several modes. 6. 8 LIGHTING MODES : Simply press the "MODE" button at the back of the solar panel to choose your favorite one from 8 lighting modes. They freeze, dance, dim, flicker, alternate, or can rotate through different modes. 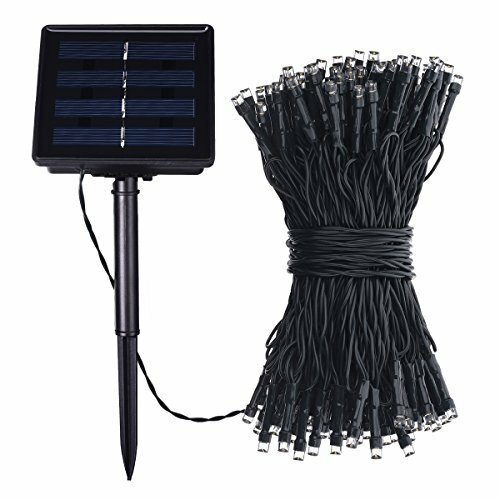 EASY TO INSTALL & OPERATE : Comes with a stake for conveniently fixing on the lawn to absorb sunshine in daylight. No tools required, easy installation, ready to use. 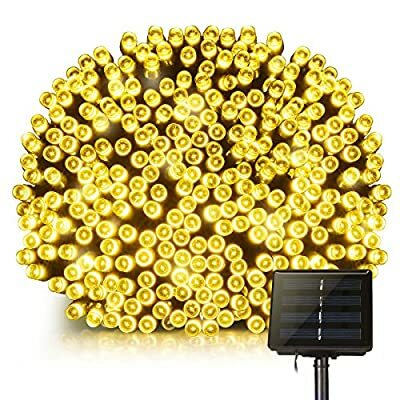 Warm Tips: Please install it in a well-lit location where the solar panel can get maximum sunlight during the day. ECO-FRIENDLY & SUPER LONG WORKING TIME : No need to change battery as it is powered by solar energy. The solar panel can absorb and accumulate solar energy during the day. Light sensor makes it be on automatically at dusk and also be off automatically at dawn. It will last about 8 hours after dark if it is fully charged during the day. 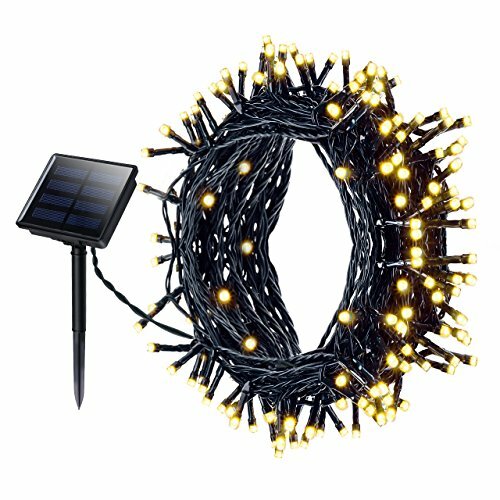 LONGER WIRE AND MORE LED : Designed with 200 LED and 72.18 feet( 22 meters) long wire, this outdoor string light provides starry lighting effect. 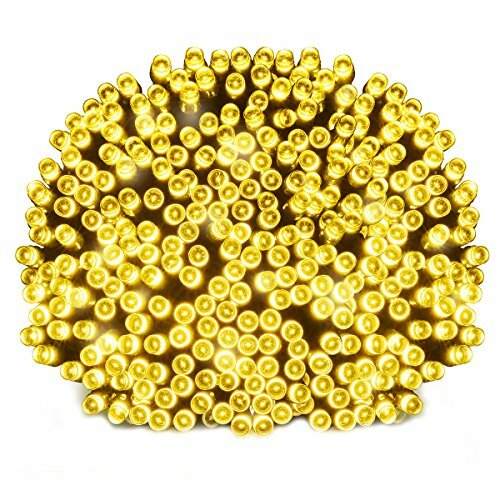 It is perfect for decorating garden, house, fence, backyard, balcony, window, Christmas tree, party, etc., creating festival ambiance. IP64 WATER RESISTANT DESIGN : Plug it into lawn, it can be used outdoors even on rainy days. Attention: it is water resistant, but do not directly immerse it into water.